Best remembered as the president of the ad interim government of the Republic of Texas, David Burnet first entered Texas about 1815. Except for a few brief periods outside the region, Texas remained his home until his death in 1870. Born April 14, 1788 in New Jersey, Burnet was raised by an older brother after the early death of his parents. In 1806, he became the first American volunteer to join Francisco de Miranda in an unsuccessful expedition to free Venezuela from Spain. Later, after a failed attempt to establish a trading post in Natchitoches, Louisiana, Burnet rode westward into Texas. After an accident in which Burnet fell from his horse on the upper Colorado River, he was taken by Comanche Indians, treated kindly, and nursed back to health over a two year period. Burnet's political career began with his election to the Convention of 1833. His leadership there and in subsequent events resulted in his being elected President of the ad interim government of Texas at the Convention of 1836. His conservatism and sensitivity to criticism, however, limited his effectiveness in leading the infant Republic in its most trying hour. He did manage to maintain reasonable order, however, until a permanent government could be elected. Burnet later served as Vice-president of the Republic under Mirabeau Lamar, and again briefly as President after Lamar resigned at the end of his term. 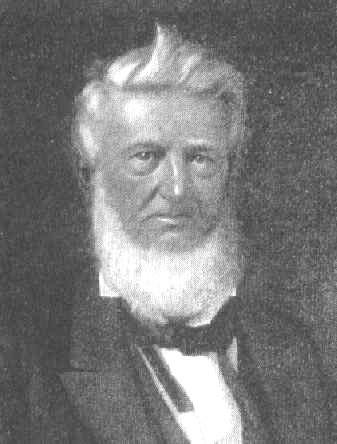 With statehood in 1846, Burnet served as the state's first Secretary of State. After the Civil War, he was elected in 1866 to represent Texas in the U. S. Senate, but due to Reconstruction, was not allowed to serve. After retiring to his farm near the San Jacinto battlefield, Burnet died on December 7, 1870. He is now buried at Lakeview Cemetery in Galveston.